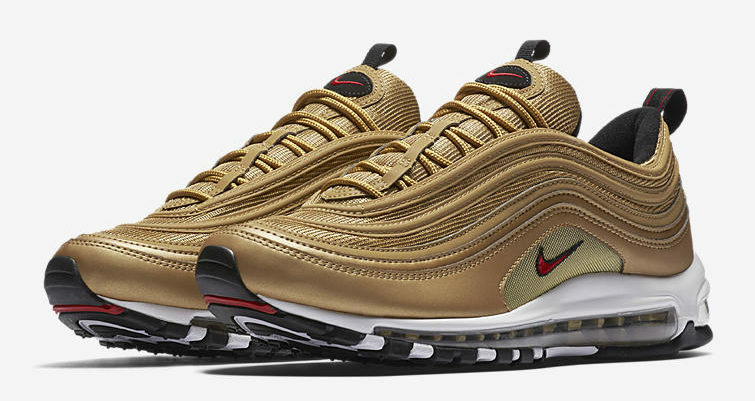 Exactly one year after the release of the Nike Air Max 97 Metallic Gold, A restock is planned. This anniversary colorway will be back at a very few retailers on Thursday May 17th. A couple European stores are releasing their pairs on Friday May 18th. 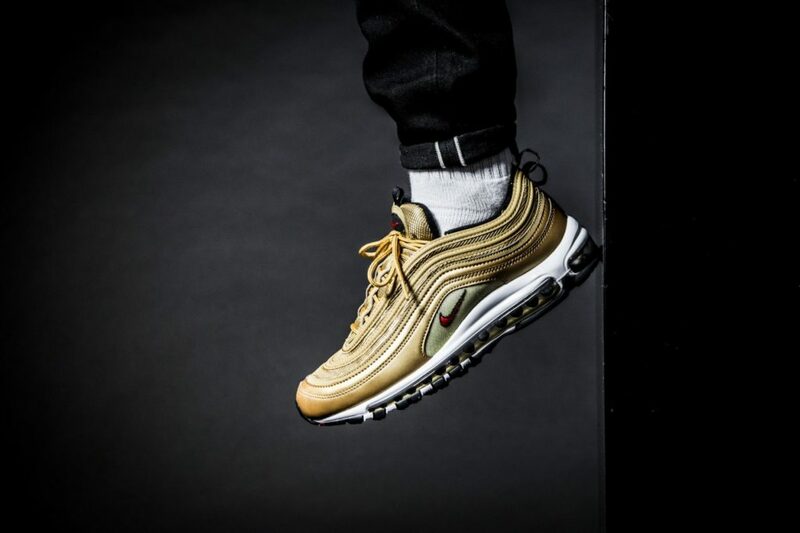 Along with the restock, a VaporMax 97 Gold Bullet will release at even fewer locations.